The 5th of June 1967 will be remembered for the beginning of the six day war, a conflict which saw Israel got to war once again with Egypt, Syria and Jordan. For most, the memory of the thousands killed during the heavy fighting will fade into another statistic of Arab-Israeli history. But that first day also saw the death of one of photojournalism’s brightest lights, Paul Schutzer who was covering the conflict for American Life Magazine. Schutzer had joined Life Magazine as a photographer at the tender age of twenty-six, four years after deciding photography, his boyhood love, was the career he wished to pursue. He quickly established a reputation for his relaxed attitude and style towards ‘capturing’ the big stars and political hitters of the time. From Eisenhower to Kennedy and Nixon he got the shots others couldn’t quite see until it was too late and by the end of the 1950s he had received several national awards for his work. By the time of his death aged thirty-six, Schutzer’s CV was remarkable. He covered the Berlin Wall, the Iranian earthquake which claimed the lives of some twelve thousand, he was in the thick of the Algerian War and there were photo essays of life in Eastern Europe and Italy. He followed Nixon and Kennedy on the campaign trail, captured the devastation of Hurricane Audrey in Louisiana, photographed Castro in Cuba as well as going into action with the Marines in both the Lebanon and Vietnam. 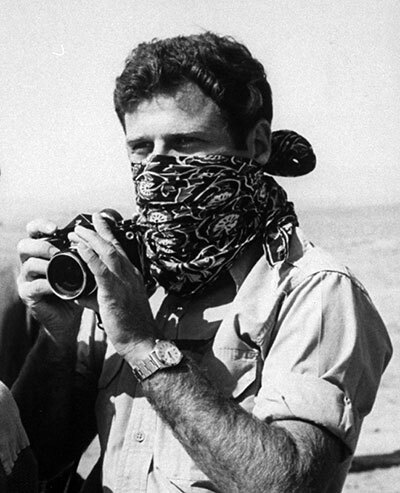 As Israel and Egypt went into battle on that first day, the Israeli half-track which was carrying Schutzer across the Negev Desert as one of the lead vehicles was hit by an Egyptian 57-mm shell, ending the life and contribution of one of the era’s leading photojournalists. Remembered by one colleague as “having almost too much courage” his life and commitment to recording the savagery of war should not be forgotten.